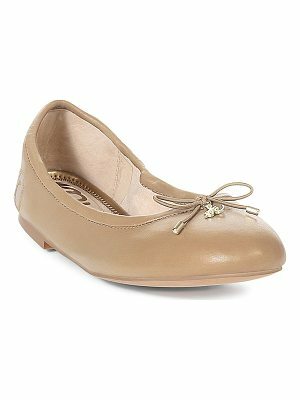 Suede Sam Edelman flats styled with a perforated vamp. Lightly padded footbed and low, stacked heel. Synthetic sole. Leather: Sheepskin. Imported, China. This item cannot be gift-boxed.